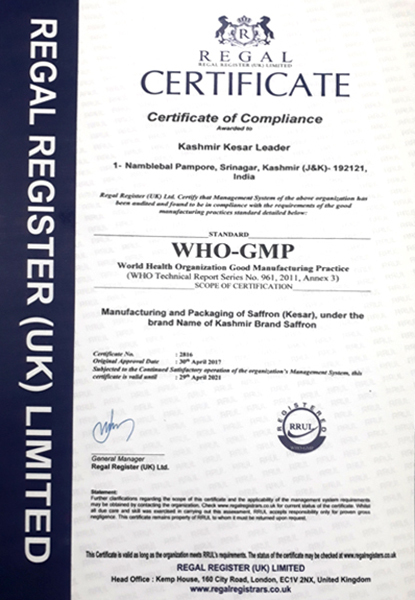 "KASHMIR KESAR LEADER" is the major producing and marketing concern from the source pampore. This concern got shaped after the farmers were exploited by the traders from time to time. "KASHMIR KESAR LEADER" is an association of small and marginal farmers engaged in producing and marketing of saffron (KESAR). Untill now 45% of the total production is being processed into different varieties through skilled labour. This association has an ambitious plan for marketing at least 70% of the total produce by the end of 2020. 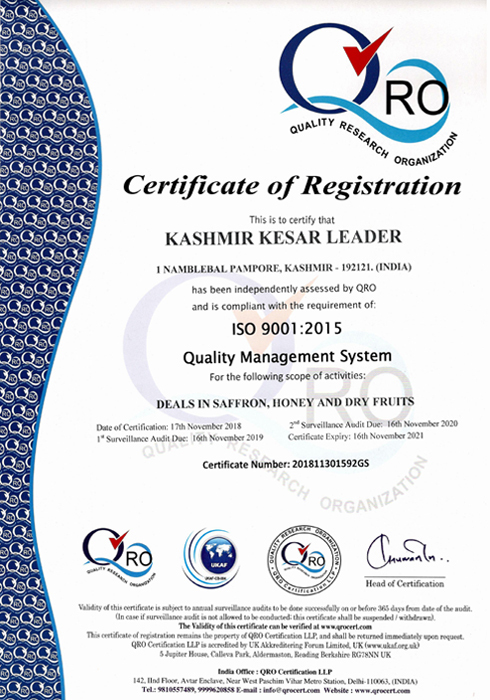 "KASHMIR KESAR LEADER" is being managed by the producers of the saffron and they have qualified themselves in performing activities in the field of marketing, processing and preserving of the produce. The marketing wing of this association shall be at the door steps of every buyer / consumer of the saffron to provide them technical details and present the various samples of different varieties as per demand of the prospective buyer / consumer. Other facilities include provision of credit sales (conditions apply), whole sale price on an average rate for a full calendar year to over come day to day fluctuations in the market of saffron. The ordered goods can be supplied to the buyers on piece meals or in bulk as per demand of the buyers / consumer, besides any other facility shall also be rendered to the buyers and consumers as manually agreed. 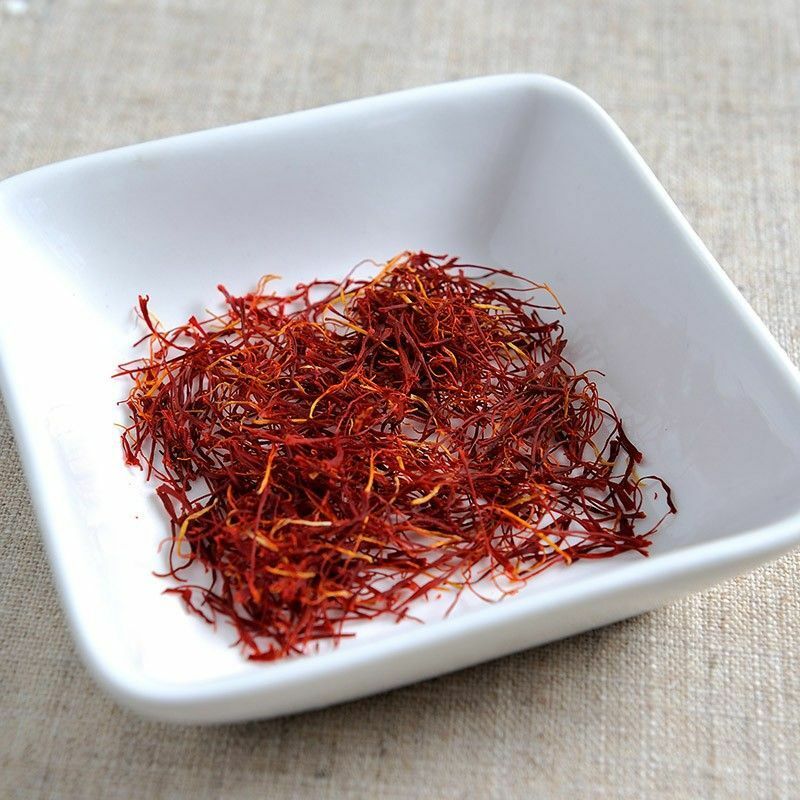 The consumer packs in 0.5 gram, 1 gram and 5 grams under the brand name of Kashmir Brand Saffron (Kesar) are always available at farm rates with attractive and beautiful packs strictly as per B.I.F and P.F.A specifications. We produce a large quantity of Saffron(Kesar) through the traditional farming procedure in Kashmir. Our facility is spread over a large area of land. Each acre of land that we have yields more than 4 Kilos of Saffron. We have employed a team of experienced farmers who cultivate the Saffron on their farms. We also carry out inspection of the farms on a regular basis. We have with us the service of well trained and skilled labours who execute all the processes involved in the most efficient manner. 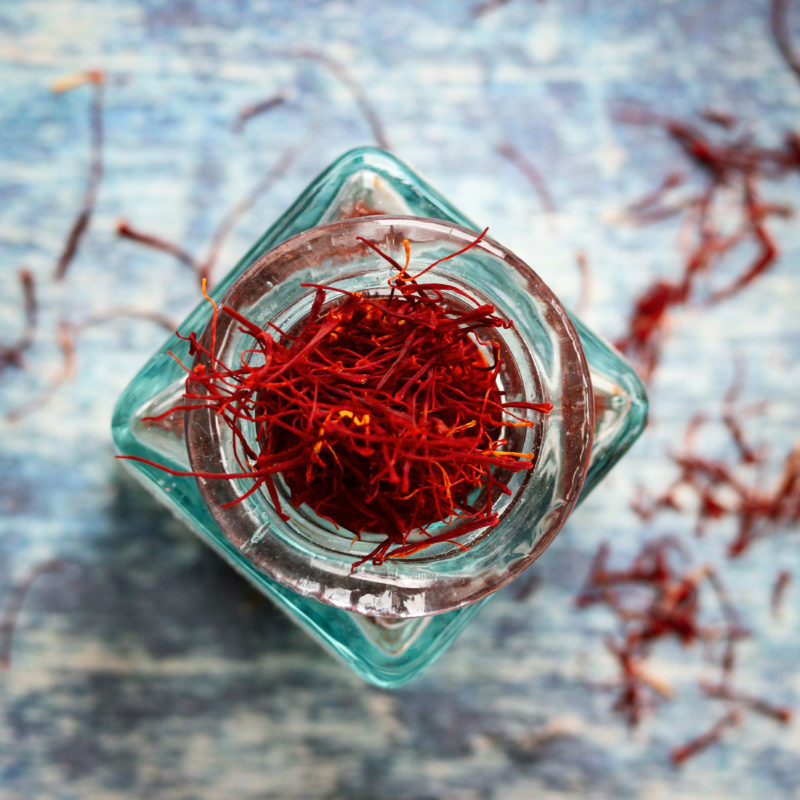 The Saffron crop is usually harvested in the months of October-November of every calendar year. We can assure our clients that we do not use child labour, and we also pay utmost attention to our employee's rights and their physical and psychological health.